On a Friday night at Clouds Brewing in Durham, North Carolina, the bartenders are the epitome of efficiency. With a wave of a wrist and the pull of a tap handle, beer pours into my glass without a word exchanged. The bartenders track how much I’ve consumed down to the tenth of an ounce and can tell me, with 100 percent accuracy, the ABV, IBU and basic makeup of every beer on tap. You see, these bartenders are machines, and Clouds is one of an increasing number of bars that allow guests to pour their own beers using wristbands with radio-frequency identification (RFID) technology. According to Darren Nicholson, head of sales and marketing for iPourIt, the largest self-serve technology on the market, there are close to 180 locations in America using the company’s technology, with many projects in the works. Of course, there are some who disagree with this logic. One of the main perks of self-serve is the ability for guests to try small amounts of every beer on tap, without that money coming out of the brewery’s profits. According to iPourIt, a typical patron will pour on average 4.7 ounces per visit to the beer wall, and they will visit the wall 5.5 times per visit. 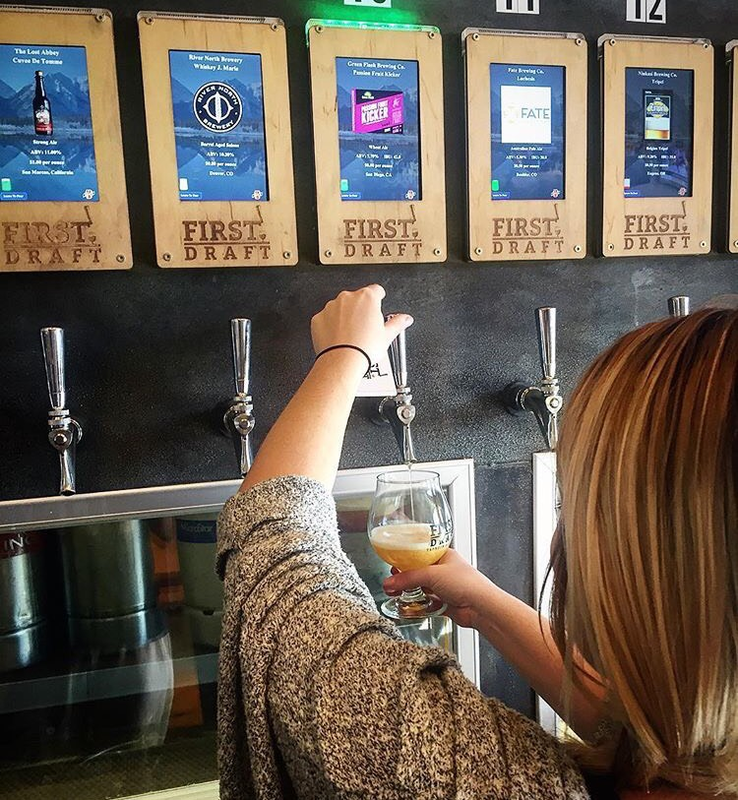 Though the self-serve concept is catching on at bars and breweries across the country, it wasn’t as popular when Keg No. 229 in New York City opened in 2010. Owner Calli Tedesco implemented it because she saw it as a new way to engage with the city’s drinkers. Despite the advantages of self-serve, many craft breweries prefer to stick with the traditional method of human bartenders. Wilson emphasizes that although he would never use RFID technology in his taproom, he is not against the existence of self-serve establishments. In fact, several Fullsteam beers are on tap at Clouds Brewing and Pour Taproom in Durham, a new self-serve bar that exclusively serves beer from other breweries. And so it seems craft brewers are fine with the self-serve concept, so long as automation doesn’t send bartenders the way of the milkman. Mark Slattery opened First Draft Taproom and Kitchen in Denver’s River North district in 2015. Though he will soon open another location in Los Angeles, he readily acknowledges that the self-serve concept will never replace the human element. Hannah Pitstick is a part-time beer pourer and part-time journalist based in Durham, N.C., who writes about everything from couples with frighteningly small houses to men with alarmingly large taxidermy collections. There is a micro brewery in Singapore called Little Island Brewing Company that utilises the same selfserve taps. They are also good when it is hard to get staff. 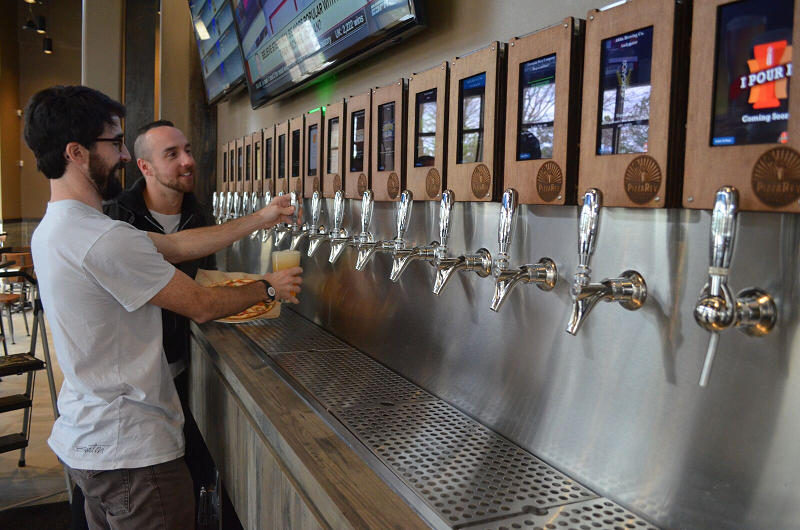 Carolina Tap House in Asheboro utilizes Pour My Beer technology, featuring 48 self service taps filled with Beers, Ciders and Wines! Josh Goodman is a miracle worker and came through for us big time! Tabology.com are the first to combine iPads with self service beer. They recognise as well it’s not just about pouring beer and cover the whole ecosystem. These other companies just commoditise pouring beer as cheap as possible and use pretty crappy hardware. The systems fail and don’t work well at all.